Can it be used commercially? Or is it limited to just personal use? Can I sell/redistribute the image? Can I use it on my website/app/illustration/book? Do I need to get permission to use this image? How and where do I get the permission? Do I need to provide attribution? We have to worry about these things (and more) in every case where we want to use an image that we didn’t create or don’t own. Well, except for when the image is in the public domain. 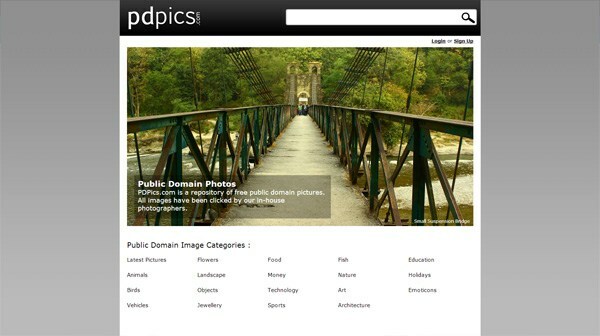 What are Public Domain Images? Images in the public domain are those that don’t have any copyright protection1. Copyright protection has run out: Under most governments, copyright protection expires after a certain period of time. For works published in/protected by the U.S., for example, copyright protection generally expires 70 years after the author of the work has died (note that these terms do vary depending on the date the work was published)2. The author gives up his/her copyrights: In this case, the maker of the work intentionally and explicitly places the image in the public domain by forgoing any of his or her copyrights. Typically, these images will have a license like CC0 1.0 Public Domain Dedication or the WTF public license. Ability to use the image any way you want (almost): Public domain images won’t have any usage restrictions. You can sell them, edit them, redistribute them, use them in your web app, etc. The only restrictions you’ll have are laws and regulations that your government has. For example let’s say that for some strange reason your country doesn’t allow you to use photos of butterflies or images of trees; you’ll bear the repercussions of that violation, not the creator or provider of the work. 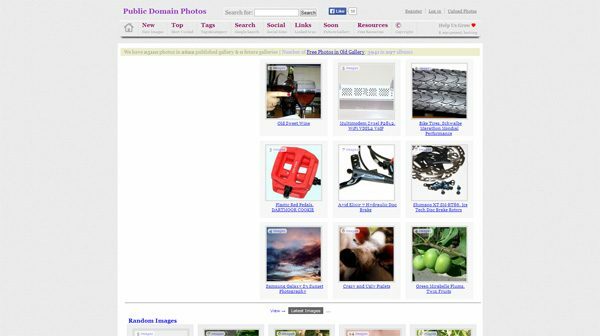 No attribution required: Some free images you find on the Web will demand that you link back to the sites where you got them from. A proper public domain image won’t require you to acknowledge the creator or source of the work. Truly free: For the sites mentioned in this article, you will be able to download public domain images from them at no cost. Note that some stock photo sites sell public domain images — they either charge a monthly fee or charge you a certain amount per download — but I won’t be talking about those here. 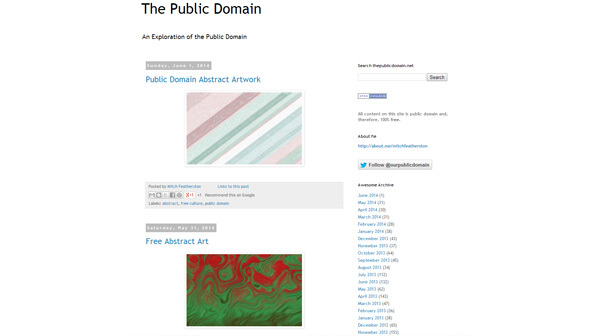 PublicDomainArchive is a great source of professional-level public domain images. New photos are added every week, which keeps the site’s content fresh. 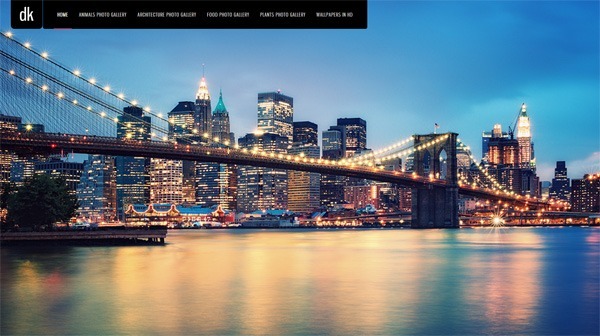 The website is managed by Matt Hobbs, a professional web designer and photographer. 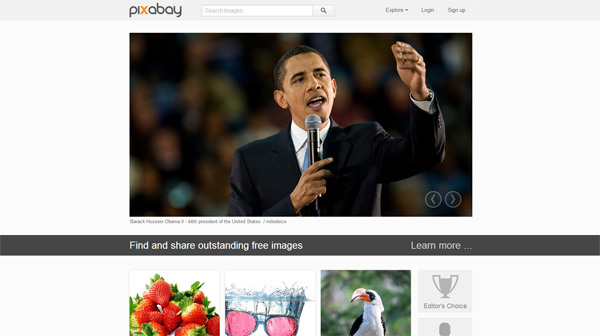 Pixabay is easy to use: The site has a good search feature and multiple options for exploring its content. All the images on Pixabay carry the CC0 1.0 public dedication license. 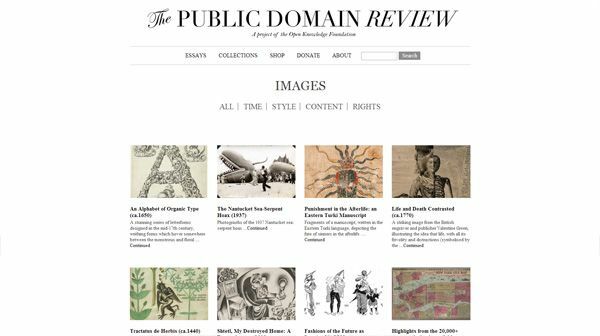 The Public Domain Review is an online publication dedicated to the subject of public domain. They have over a hundred collections of public domain images, with each collection having numerous images and containing a description about the body of work. On Unsplash, 10 new images under the CC0 1.0 public domain license are released every 10 days. 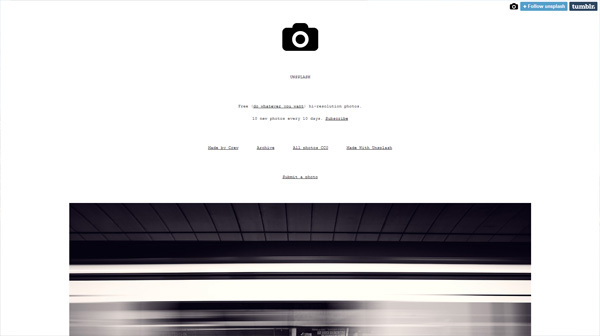 Unsplash is a project by Crew, an online marketplace for creative talent. 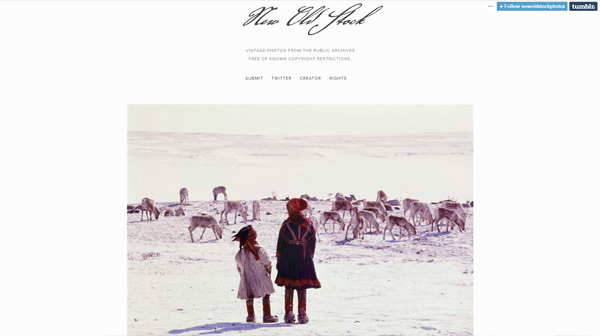 New Old Stock is a blog that indexes vintage stock photos that have no known copyright restrictions. 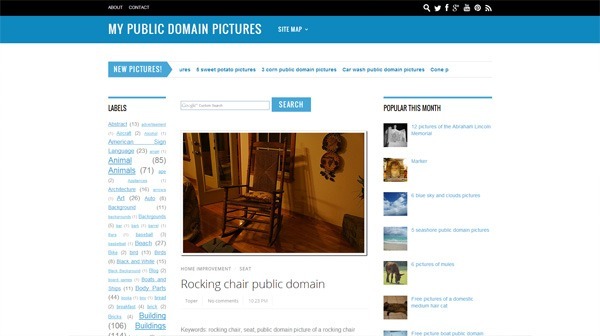 This community-driven site features public domain photos uploaded by its users. The site is in a blog-style format. PDPics has a collection of over a thousand public domain images organized into 18 categories, such as “Animals”, “Food”, “Technology” and so forth. 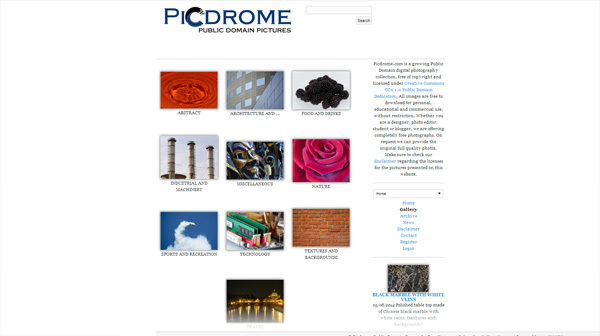 Picdrome is a collection of photos in the public domain. The images are licensed under CC0 1.0 and arranged in categories such as “Nature” and “Textures and Backgrounds”. 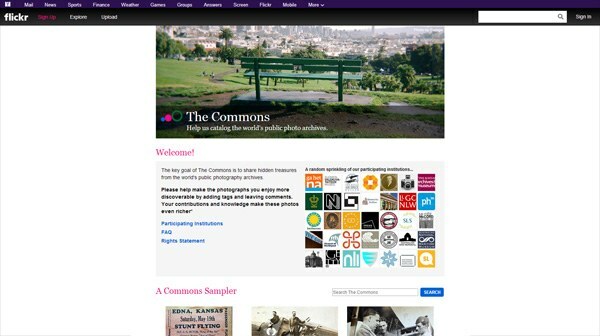 You can find over 25,000 images in the public domain on this privately-owned website. The photos are organized into 51 different categories and each image is meticulously keyword-tagged so you can find photos more easily using the site’s archives page. 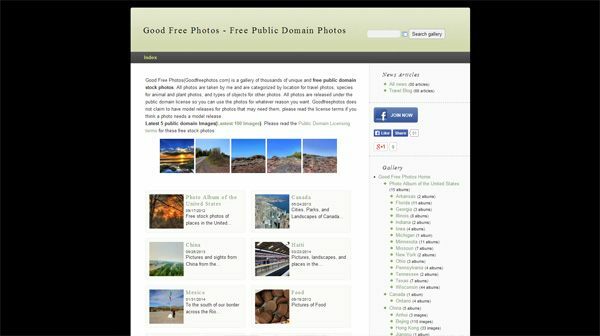 Good Free Photos is run by an unnamed individual who refers to himself/herself as a “ninja”. The public-domain-dedicated images on this site are mostly travel photos. 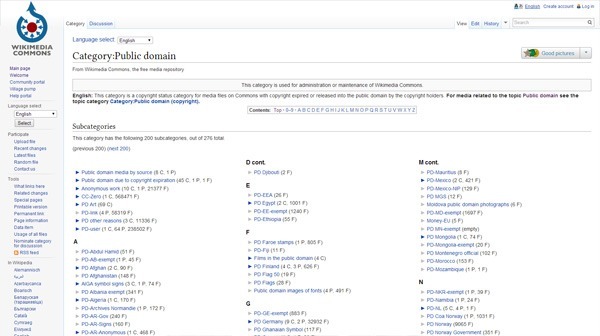 Wikimedia Commons is a media file repository and it has a massive index of public domain work. It’s a project by Wikimedia Foundation, the same non-profit organization that manages Wikipedia. The collection is extensive, and is regularly updated because of its open-platform nature. However, it’s quite tough to browse through images compared to other sites in this list. 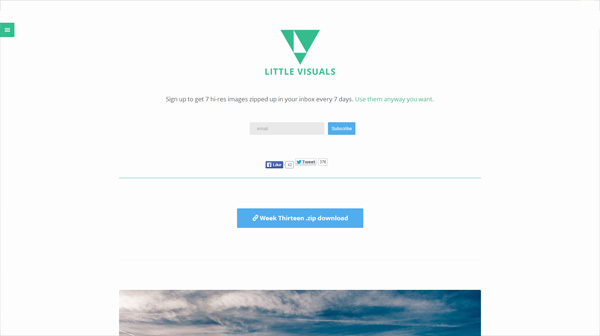 Little Visuals releases 7 new public-domain-dedicated photos every week. This site features animal, plant, architecture, food and desktop wallpaper photos. Though all the images on this site are in the public domain, the site owner advises: “If there is any person on the images I would not use it.” This cautionary advice is presumably due to the fact that the photographer didn’t obtain model releases from the people who were photographed. 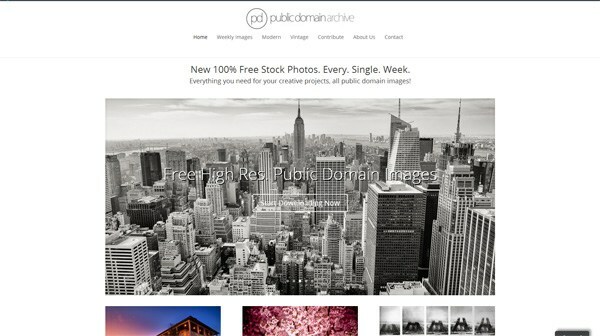 This blog-style site features free public domain images. It’s been around since 2005 so there’s a lot of content on this site. 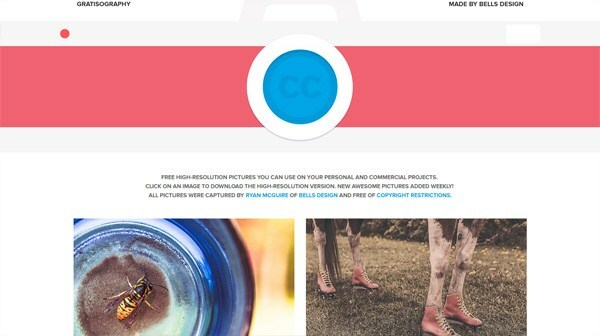 Gratisography, a project by designer Ryan McGuire, regularly puts out high-res photos under the CC0 public domain license. 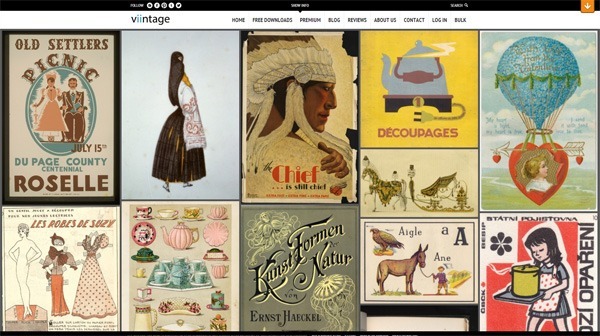 You can find plenty of vintage public domain images within the “Free Downloads” section of Viintage.com. Not all of the images in this site are free. Be careful of images with people in them. When a photo has an identifiable person in it, that person may have rights to privacy that’s provided by his/her country. As I’ve alluded to earlier, you’re responsible for making sure that you use a public domain photo in lawful and ethical ways. Consider providing attribution even though you’re not required to. Though attribution is not needed for public domain images, most of the site owners and creators work hard to provide us with these wonderful resources. They will still appreciate it if you link back to their site to acknowledge their work. I recommend doing this whenever possible.